Marko Petrak comments on the matchups of the Croatian UFC fighters Igor Pokrajac and Stipe Miočić, scheduled or the upcoming major event in Winnipeg. June sure won't be an easy month for the Croatian representatives in the world's biggest MMA promotion – Igor Pokrajac and Stipe Miočić. Fate has decided that both should be on the same card in Canada's Winnipeg; "The Duke" in one of the UFC 161 (June 16) prelims, and Miočić in the main part of the event. And they both have pretty difficult jobs ahead of them: "Poki" will face local star Ryan Jimmo, while Miočić will stand opposite of one of the world's best heavyweights – Roy Nelson. It's hard to say who's in for a tougher fight, but it's quite clear that neither Pokrajac nor Miočić will find it easy to get new wins in the UFC. Now that the Fertitta brothers have shut down Strikeforce and carried everything of any value over to their roster in the process, absolutely no one is safe. If three or four defeats in a row once definitely meant saying goodbye to the world's most renowned octagon, nowadays fighters can't feel in the clear even if they happen to have two consecutive losses. This kind of situation surely puts additional pressure on the back of every fighter and requires extra power and utmost mental readiness. If we start analyzing the Pokrajac vs Jimmo bout, then it's clear that fighting under pressure is what "The Duke" excels at. Let's just remember his uncertain beginnings in the UFC… Not many people believed that Igor would survive losing to Matyushenko and James Te Huna. Still, he made it, coming back to life with an amazing triumph against James Irvin. The situation was no better after he lost to Stephan Bonnar in a TUF main event. But Igor returned with impressive back-to-back wins against Brown, Soszynski and Maldonado that lead him to the threshold of the UFC's light heavyweight upper tier. Unfortunately, a defeat to Vinny Magalhaes and another to Joey Beltran, the latter declared no contest due to drug test failure, pushed "The Duke" back into the red. The situation isn't critical, but in the today's dog-eat-dog world of the UFC roster, it wouldn't hurt him to win at UFC 161. 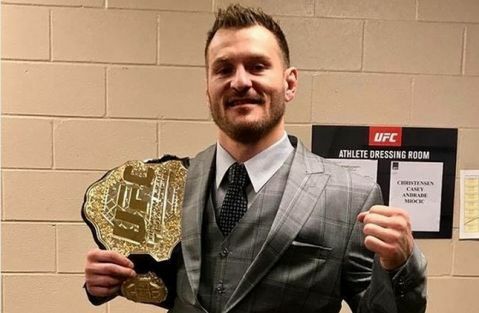 Then his score in the last six fights would show only one defeat and this victory would surely earn him a new contract with the UFC and a safe future in the world's biggest MMA promotion. 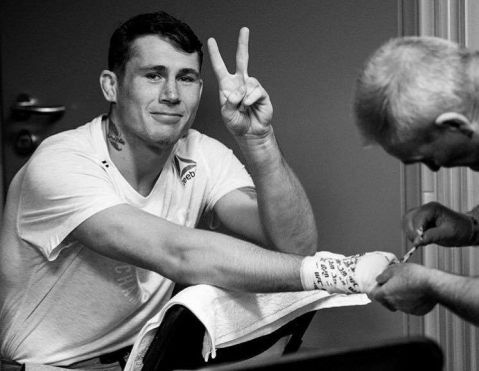 We've already mentioned that Jimmo is no pushover and that this is a very challenging test for Pokrajac. Since his arrival in the UFC, the Canadian has recorded an impressive win against the Australian Croat Anthony Perosh and a decision loss to James Te Huna. A knockout within only seven seconds, which made Jimmo the man with the fastest KO in the UFC's history, is a major warning sign. Everyone knows how much Pokrajac can take, but a significant number of knockouts in Jimmo's score clearly indicates that "The Duke" shouldn't test his chin too much in his bout. Another warning for Igor are Jimmo's 17 wins in a row before losing to Te Huna. While those wins include some complete no-names, the likes of Rick Roufus, Marvin Eastman, Emanuel Newton, Wilson Gouveia and Thierry Sokodhou call for added caution and show that this is a serious test for Igor. It won't be any easier for Stipe Miočić, who is facing the biggest challenge of his career in Winnipeg. The official UFC ranking shows Roy Nelson as the world's fifth best heavyweight in front of such names as Alistair Overeem, Frank Mir, Minotaur Nogueira or Travis Browne. Considering a heavy defeat that Miočić suffered in his latest fight, by knockout against Stefan Struve in Nottingham, it isn't difficult to conclude that the UFC didn't do him much of a favor when they replaced his original opponent Soa Palelei with "Big Country". Another cause for concern is the clash of two styles which in this case definitely doesn't bode well for Miočić. In his previous fights, Stipe showed a tendency toward receiving too many unnecessary strikes. Relying on his granite Dalmatian chin and physical prowess that's almost impossible to surpass (193 cm, 108 kg of pure muscle), Stipe went into fist-fight duels almost on a regular basis, and he outmatched his opponents thanks to those advantages. Against Roy Nelson, such a tactic would lead definitely lead him into failure. Big Country has the toughest chin in the UFC (only one KO in his career), and his wide right swing is too much to take for anyone, including the otherwise rock-solid "Croatian firefighter". Therefore, Miočić must look for his chance using the recipes that Frank Mir and Fabricio Werdum already tried and tested against Nelson. Miočić's wrestling base surely provides him with everything necessary to combat the winner of TUF 10 this way. Looking at the bookies' odds shows that they too consider Nelson a major favorite. One euro invested in Stipe can be tripled in case he wins, while Nelson's potential victory is valued at paltry 1.35. UFC 161 is truly a great holiday for Croatian UFC fans, but at the same time it's an essential event when it comes to the future careers of Pokrajac and Miočić. Wins for our boys would mean a safe future in the world's best MMA promotion, while defeats (second in row in both cases) would bring the unavoidable anxiety and uncertainty ahead of future fights. So let's keep our fingers crossed for both fighters and wish the best of luck to them!